President George H.W. 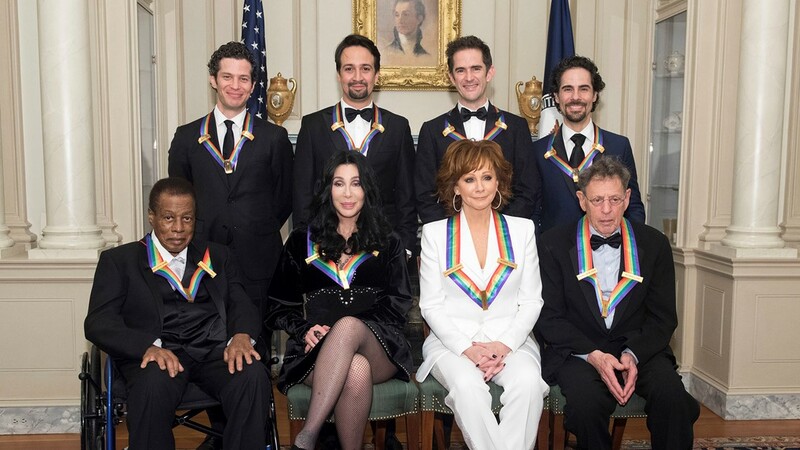 Bush attended the Kennedy Center Honors for most years during his presidency — and even afterward, during his son's presidency. 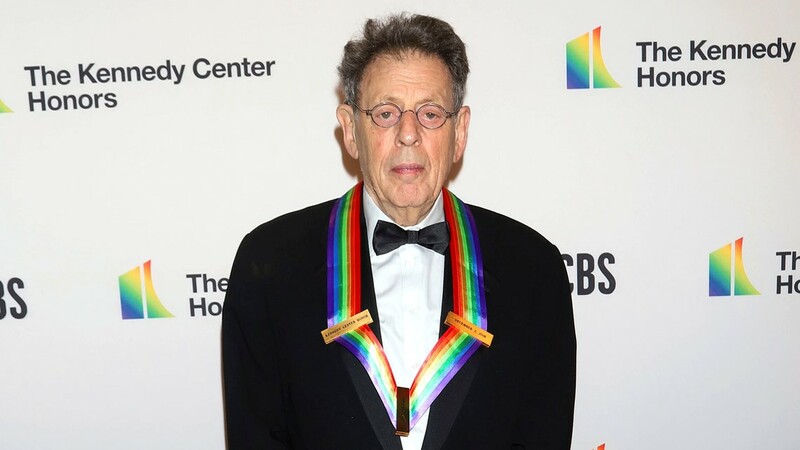 WASHINGTON — Last year's Kennedy Center Honors ceremony was almost overshadowed by controversy surrounding the sitting president. This year's event took place in the shadow of the death of a former commander-in-chief. 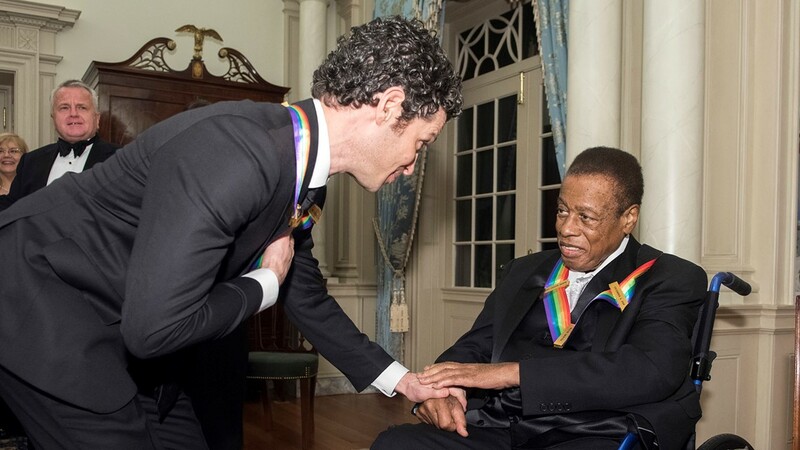 Sunday night's ceremony honoring lifetime artistic achievement featured multiple tributes to former President George H.W. Bush, who died Friday night at age 94. The night kicked off with an extended standing ovation in Bush's memory at the request of hostess Gloria Estefan. 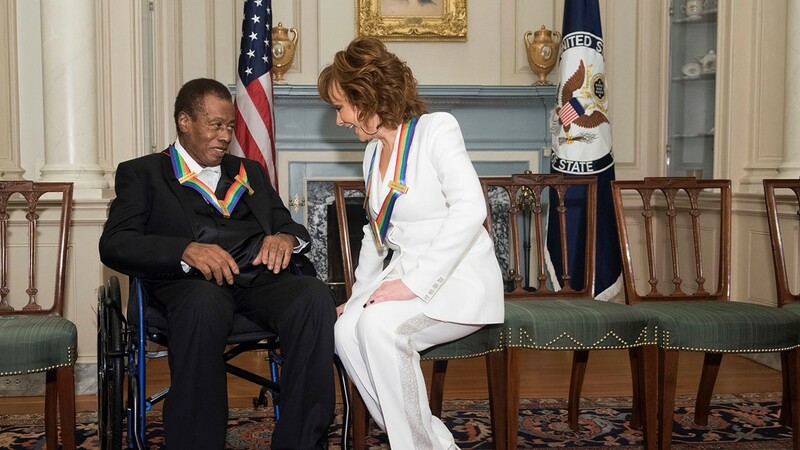 "I think it's appropriate to recognize the passing of a wonderful man who dedicated his life to service and who graciously attended this event many times during his administration, laughing, applauding, singing along and even shedding a tear from right up there in the presidential box," said Estefan, who recalled being invited to the White House and how Bush "literally spent 45 minutes patiently talking to my eight-year-old son" about how the government worked. Within days of that White House visit, Estefan's tour bus was in a serious accident that left her nearly paralyzed and President Bush called her in the hospital, she said. For the second straight year, President Donald Trump and first lady Melania Trump declined an invitation to the awards. They returned to Washington before dawn Sunday from the Group of 20 summit in Argentina. The Trumps skipped last year's ceremony after several of the honorees — most notably leftist television producer Norman Lear — threatened to boycott if he attended. This year, nobody issued that kind of overt threat, but the Trumps still announced three weeks ago that they wouldn't attend. 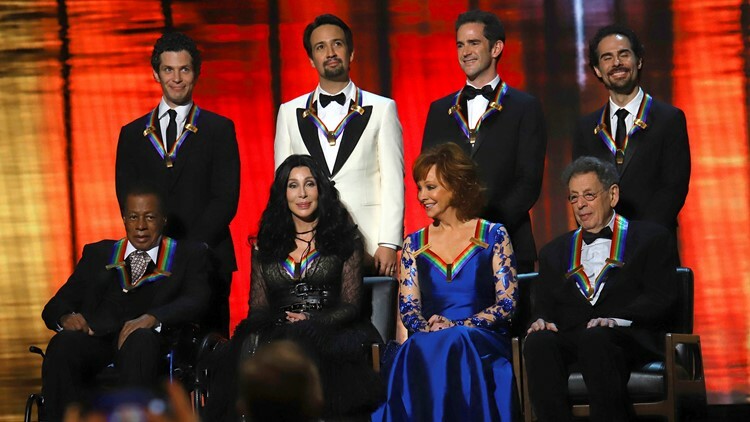 Bush attended the Kennedy Center Honors for most years during his presidency — and even afterward, during his son's presidency — but like other leaders, he was pulled away by major issues that demanded his time. Bush didn't attend in 1989 because he was at a summit in Malta. Jimmy Carter missed the 1979 awards because of the Iran hostage crisis. Bill Clinton was on his way to a conference during the 1994 Kennedy Center awards. 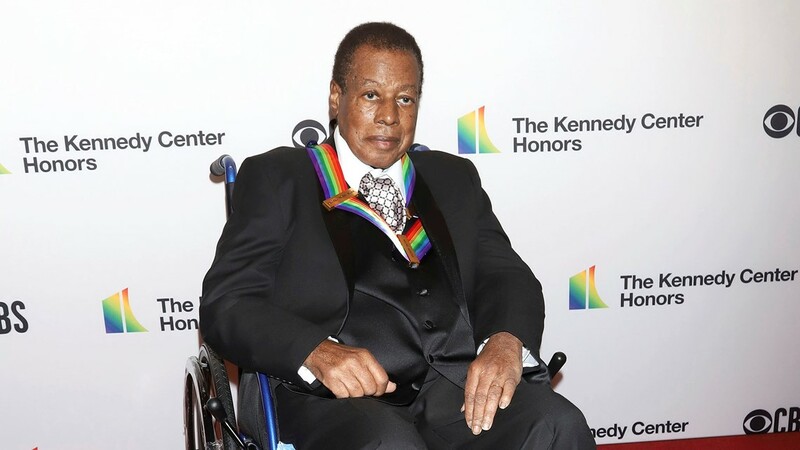 This year's honorees for lifetime achievements in the arts were Cher, composer Philip Glass, country music legend Reba McEntire and jazz icon Wayne Shorter. 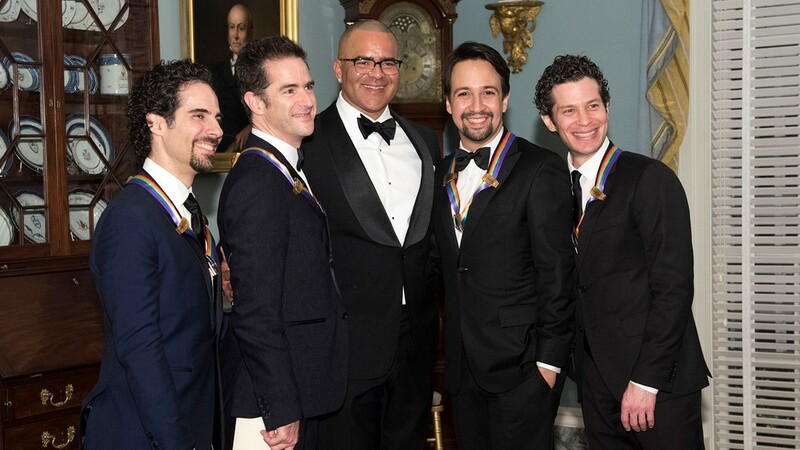 An unprecedented special award went to the co-creators of "Hamilton" for their genre-bending musical. 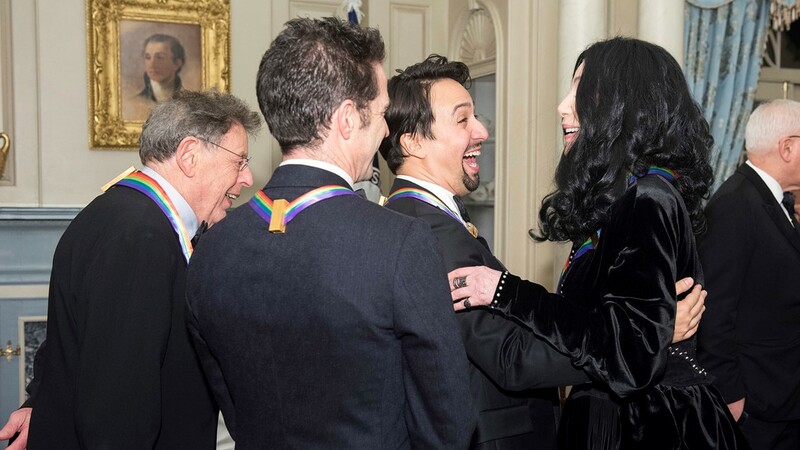 This year's event contained a break from tradition by honoring an actual contemporary work of art — the blockbuster musical "Hamilton" — in addition to lifetime achievement awards for late-career artists. 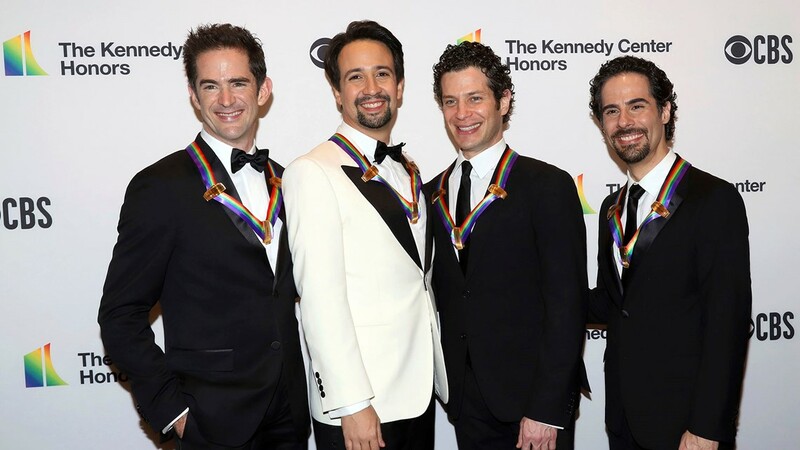 Writer and actor Miranda, director Thomas Kail, choreographer Andy Blankenbuehler and music director Alex Lacamoire were honored as "trailblazing creators of a transformative work that defies category." 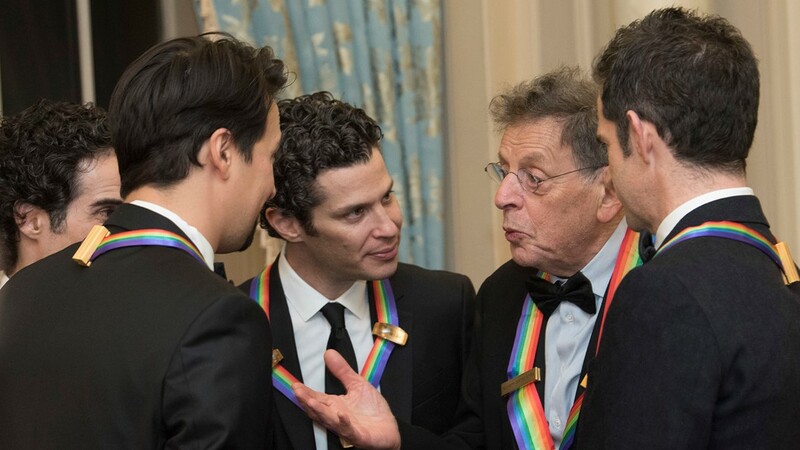 The Honors tribute performers are always kept secret from the recipients, and this was no exception. 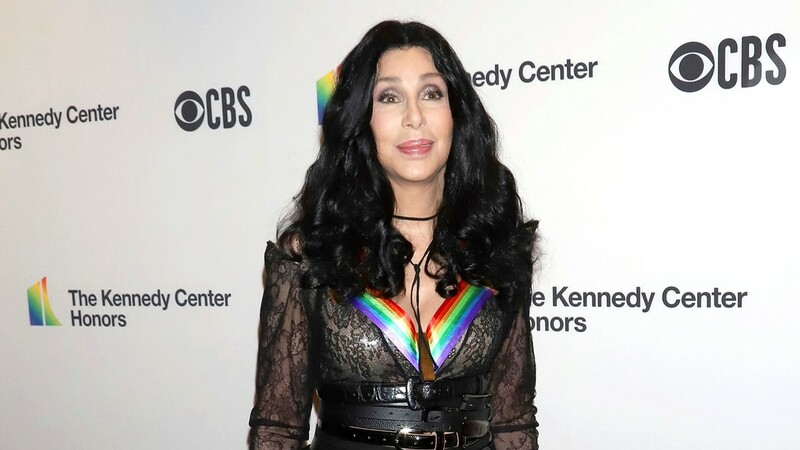 When Lauper appeared, Cher yelled from her seat, "You told me you were going to Los Angeles!" Lauper shrugged onstage and said, "I lied."